If you are receiving income from property, you can find out about the different types of income, allowable expenses and all of your landlord responsibilities to HMRC. 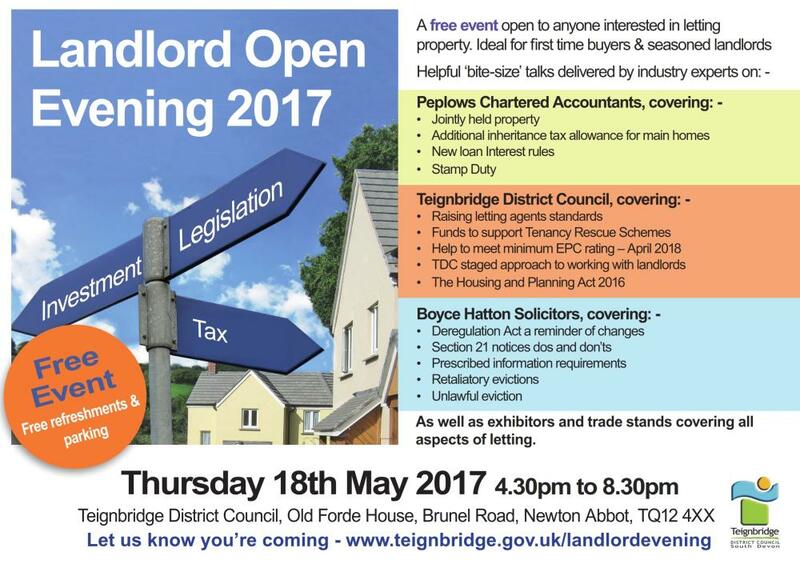 SWLA Attending Landlord Exhibition in Bristol Thursday 25th May 2017. All Landlords welcome, free to attend. The Chairman and Vice Chairman met at SWLA offices with Steve Ricketts and Matt Garrett for a quarterly meeting. Training venue for accreditation courses. HMO licensing (New mandatory licensing under the 2016 Planning Bill). Parking Permits – essential worker replaced by business parking permit for Plymouth. 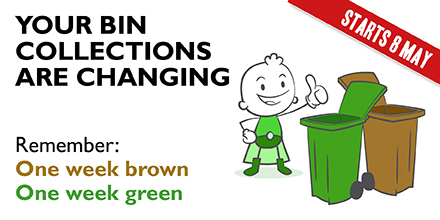 From 8 May 2017, Plymouth City Council are changing bin collections so that brown bins and bags – or normal household rubbish – will be picked up one week and the green bins and bags – or recycling – will be picked up the next. The changes will lead to an increase in recycling rates, a more efficient service and a renewed sense of enthusiasm for Plymouth becoming a cleaner and greener city. Residents will have received letters which set out what weeks their brown and green bins and bags will be collected as well as their garden waste collection, which from 8 May 2017 run on a separate round. Follow the guidance on the letter the Council has sent them to find out when they need to put their bin out and bring it back in. Not leave rubbish next to their bin – it will not be collected. Flatten items such as plastic milk cartons and cardboard boxes to create more room in their recycling bin. Come along and catch up with the office staff, committee members and other SWLA members. If you are interested in joining us and would like to have a chat please enter your details below and we will get back to you as soon as possible. Formed in Plymouth in 1986, we were previously known as The Devon and Cornwall Small Landlords’ Association. I agree to be contacted by South West Landlords Association regarding my above enquiry.